Welcome to the AudioExcite web site! This site is dedicated to all the loudspeaker DIY enthusiast searching for high quality DIY loudspeaker designs and information about building loudspeakers including driver unit measurements etc. Loudspeakers presented on this web site are mid to high priced DIY designs, but will have a performance that’s equal or surpasses many commercial loudspeaker design costing a far lot more. By building DIY loudspeakers you have the possibility to adjust the loudspeaker to your own preferences and sound ideals. alignments or different tweeter options and tweeter level options etc. Some of the designs presented here will be constructed using common available high quality prefabricated loudspeaker cabinets in order to satisfy those who doesn’t think “woodworking” is the best part of building DIY loudspeakers. That doesn’t rule out those who like “woodworking”, as long as the design directives are followed — “feel free” to build your own choice of cabinets in the design or appearance according to your personal taste. In my personal experience, building your own loudspeaker cabinets can often be as expensive as buying commercial cabinets. Sometimes it can be much more expensive depending of the choice of finishing. The “choice” is yours. 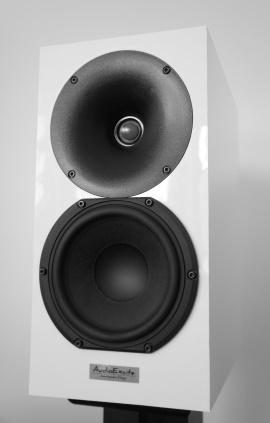 AudioExcite has the goal to offer DIY loudspeakers designs that fits into a normal sized listening or living-room and to present more detailed measurements than usually found in other similar web sites. The web site will grow over time and new loudspeaker series and models and driver unit measurements will be launched as time flies. For further reading about Audioexcite go to the Who is? section of this site! I hope you enjoy the reading on this web site and be sure to follow my projects on my Blog! Every designer has a “philosophy” regarding on how to build the best possible loudspeaker. My “philosophy” is “keep it simple” and “less is more”. To me, designing a loudspeaker is like cooking a fancy dinner. Use high quality ingredients in a well thoughtful composed combination, but don’t over do it. Let the fine ingredients speak for them self. The same thing goes for designing cross-overs. Don’t do it more complicated than necessary to achieve the desired goal. Keep the number of cross-over components to a minimum. If you can use a tweeter in a design without a resistor in series with it — “do it”. It will sound better. It’s not necessary to flatten out every little wrinkle in the frequency response by adding more cross-over components — “it will kill the sound”. Instead look back and see if you have chosen the right driver unit for the design. Other important factors for a successful design is to achieve an even power response and off-axis dispersion as well as a satisfying distortion behavior for the loudspeaker. If you follow these design rules, you will get rewarded with a wider, higher and deeper sound stage and the “sweet spot” will be bigger and you can play stronger before distortion becomes an issue. Again, this is my personal opinion and design “philosophy” and I’m aware that every designer has their own personal preferences on how a high quality loudspeaker are built. The choice of driver units for a design is an important factor for a successfully implemented design. Audioexcite will not use the cheapest or “buy-out” driver units available on the market. The drivers chosen here are from the mid to high price range, but that doesn’t rule out for instance a combination of a mid priced tweeter paired with a high priced mid-woofer as long as the performance of the driver is adequate. The driver units here are carefully chosen from a variety of loudspeaker driver manufacturers. I think the “heart” and “soul” of music lives in the mid-range, therefore the drivers chosen for the mid-range reproduction are critical for the end result. 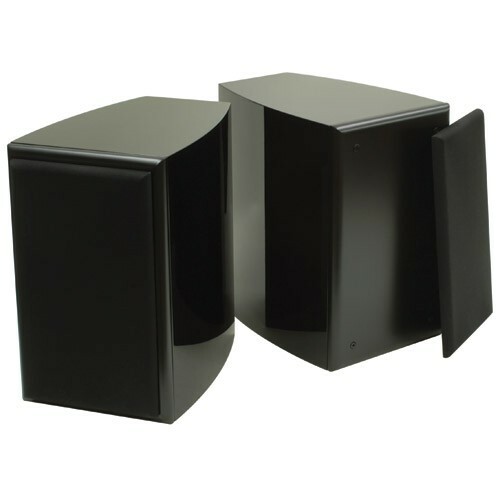 Some loudspeaker designs on this website use prefabricated enclosures from Dayton Audio. These cabinets are affordable and beautifully built cabinets and is available in several different finishes, like gloss black, cherry and maple. These enclosures are available in both curved cabinets as well as conventional square boxes. AudioExcite only uses the curved cabinet option, which I think have equally high quality appearance to them, as many commercial loudspeakers. They also have a smart baffle replacement system, which makes it easy to reuse and/or upgrade the speaker without the need to buy or build a completely new enclosure. “If you want to create a loudspeaker without investing the time and money building one from scratch, these cabinets are the answer. Dayton Audio pre-made enclosures eliminate the time-consuming and messy steps of cutting wood, assembling the panels and bracing, gluing veneer, and finishing. Using speaker cabinets will guarantee superior results every time. 3/4″ MDF side and back panel construction is reinforced by a 3/4″ MDF “shelf” brace running vertically up the sides and across the top and bottom. The entire cabinet, including the rear, is covered with a piano-quality black lacquer finish that is extremely glossy and reflective. The baffle is 1″ MDF with a black satin finish and rabbeted construction. It offers the flexibility of the B-REX replacement system and comes pre-finished without any driver cutouts. The grill is secured to the baffle by neo magnets in line with the machine screws that fasten the baffle to the enclosure. Two 1/4″ holes on the back simplify installation of knock-in binding posts. I can say it right away! I’m not a big fan of super expensive cross-over components. In all of the AudioExcite loudspeakers I use cross-over caps and resistors from Mundorf. I have chosen the “Mcap Audiophile” MKP cap as the standard cap in all of the loudspeaker models. This is a high quality cap with a nice price/performance value. It has very neutral character with a specified tolerance of +-3%, but often surpasses that and in real measurements +-1-2% is common. In some designs where it’s justified, the Mcap Supreme is used for the tweeter series section of the cross-over. This cap gives a bit more refinement in the upper frequencies and the higher price tag is motivated by the additional performance improvement. 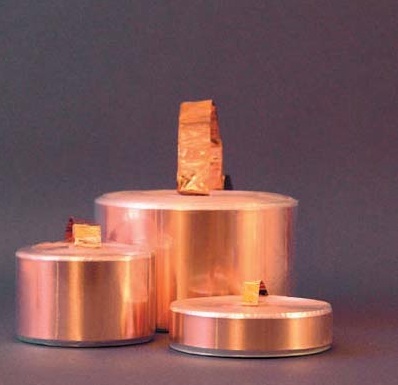 All of the AudioExcite loudspeaker models uses air-core coils as standard. Where the price/performance is motivated, foil coils are used in the mid-range series section of the cross-over. Where very large coils are needed, iron-core coils are used.